OKLAHOMA CITY – Legislation that would provide education options to families across Oklahoma was unveiled today at a press conference at the Oklahoma State Capitol. Under House Bill 3398, by state Reps. Jason Nelson and Tom Newell, low-income public school students would be able to receive a portion of the state aid dedicated to their education and use it to expand their education options. Under the legislation, students eligible for free or reduced price lunch under federal guidelines would be eligible to receive 90 percent of the funding they would have generated at their resident public school through the school funding formula. Students in families whose household income is up to 1.5 times the threshold for free or reduced price lunch will be eligible to receive 60 percent of the amount they would have generated through the formula. Students in families whose household income is between of 1.5 times to 2 times the threshold will be eligible to receive 30 percent of what would have been generated through the formula. The education savings account money could be used for tutoring, virtual school, higher education courses and private schools, Nelson said. 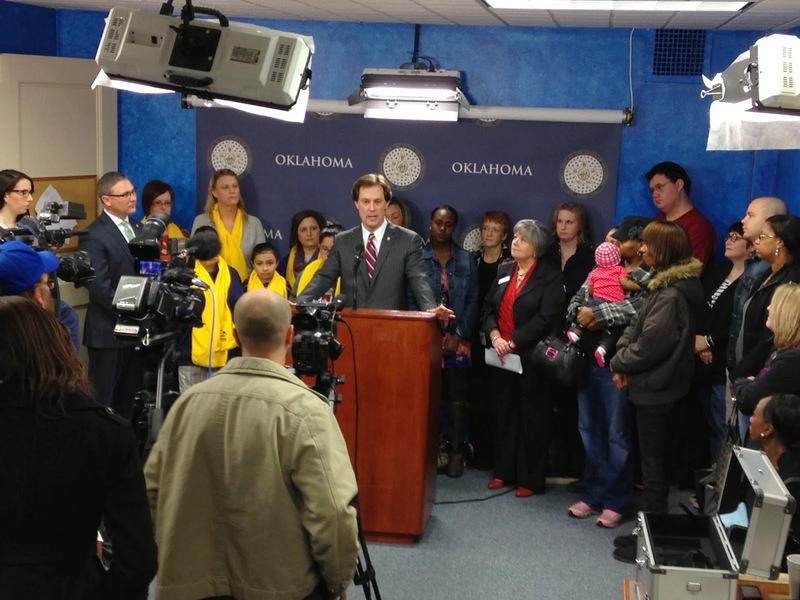 The president of a non-profit Oklahoma City school for impoverished and homeless children applauded the legislation. Susan Agel, president of Positive Tomorrows, said the legislation could provide some funding for her students. Positive Tomorrows serves children who are homeless or in really difficult living situations. “The Oklahoma City public school district estimates that there are about 2,000 homeless children in that school district,” Agel said. “There are a number of them that are really living in some difficult situations. Those are the children that we can do the most for. So far this year, we’ve turned away about 50 kids. We’ve done this because we have a lack of space in our building and because of staffing considerations. Dr. Cris Carter, the superintendent of Oklahoma City Catholic Schools, said the Catholic Church has historically been an option for immigrants and the poor. Lauren Marshall, member of the National Board on Public School Options and Tulsa resident, said parents need options. Pam Newby, executive director of Special Care, also spoke in support of the legislation. It seems like the last campaign just ended but the next election is less than ten months away and I already have a serious general election opponent who has begun raising money and organizing. My opponent is already working hard and will be well-funded. I am asking everyone who plans to contribute to my campaign to please join me and Speaker T.W. Shannon this Thursday. I must raise funds now to be ready to effectively campaign this year. By contributing what you can, you help me demonstrate the strength of our campaign not just in the money raised but in the number of people supporting my efforts. If you are not able to contribute at the levels listed on the invitation below, please contribute what you can. I’m grateful for any amount and will put your resources to good use as the campaign heats up. If you are unable to attend but would like to help financially you can mail your contribution to 4117 NW. 58th St., Oklahoma City, OK 73112. Click here to download a contributor statement to complete and return with your support. The fundraiser is this Thursday, January 16 from 5:30 to 7:00 p.m.
For more information or to RSVP email jasonnelson2014@gmail.com or call 405-641-3255. Serving as a member of the State House of Representatives has been a true honor for me and for my family. Serving my constituents is a rewarding experience I cherish and look forward to each day. Representing nearly 40,000 Oklahomans in the legislature has been a humbling responsibility I take very seriously. It has made me a better person, and I hope it has made Oklahoma a better place to live. It may sound cliché, but I can’t think of a better way to say it. Since my election in 2008, I have tried to serve in such a way that while some may disagree with me, they know I work hard and always do what I think is right — not what is politically expedient. I have spent much of the past five years tackling some of the most persistent and complex challenges in state government. My work on these issues has turned what I expected to be a part-time job into one that is more than full-time. These are not the sort of issues that are easily addressed or that encourage political contributions. That is why I am so grateful for the strong support of so many. I have focused on championing government reforms that improve our education system, reorganizing our state’s Department of Human Services to help ensure Oklahoma’s children are protected and that the state is not subject to future expensive federal class action lawsuits, and giving parents of special needs children the ability to educate their children as they see fit. I am committed to continue working hard on behalf of Oklahoma’s families. I am also proud of our efforts to reform the workers’ compensation and tort systems and to modernize our government, making it more transparent and responsive to the public. 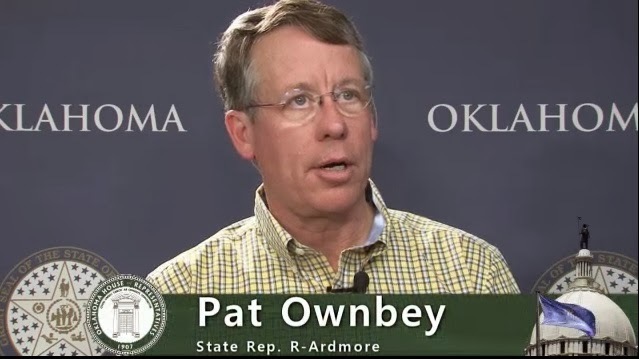 I have supported legislation lowering the tax burden on Oklahoma families and businesses. Oklahoma’s unemployment is well below the national average and our Rainy Day Fund is full! Washington could learn a lesson or two from our state. State Superintendent Janet Barresi's campaign today posted her responses to an Oklahoma Education Association (OEA) candidate questionnaire. Barresi answered questions on several areas of education policy, including school choice. The OEA is the state's largest teachers' union and opposed Barresi in the 2010 state superintendent’s race. The OEA also consistently opposes legislative efforts to provide greater educational options to parents. Q. What are your feelings about using public money to support private schools through voucher programs, tax credits, and other mechanisms? A. My goal is to make sure our public schools are the first choice of every Oklahoma parent. Until that day, I want to give parents as many choices as possible. I have worked to increase funding for the Lindsay Nicole Henry Scholarships so that parents of those with learning challenges have better options for their students to have the same success as everyone else. There is still more we can do. Every child, every parent should have the opportunity to choose the school that best fits their specific needs, and no child should be confined to a failing school. I won’t rest until that’s a reality. The premise of the OEA's question is absurd and a clear example of misplaced focus. The union sees programs like the Lindsey Nicole Henry Scholarships Act as existing to support private schools over public schools. They see education in terms of institutional schools -- not individual students. My two children attend public schools. We do so not out of a sense of obligation to support the public institutions and provide employment for union members who believe they know better than my wife and I do what is best for our children. Children are more than mere funding units for educational institutions. Common sense dictates that the institutions exist for the benefit of schoolchildren. The children do not exist for the benefit of the system of public schools. Following the logic of the OEA's question, it must hold that the per pupil revenue generated by students attending public school is for the purpose of supporting that school, regardless of the service it provides to students. The OEA’s focus is not on providing children with educational services, but with protecting their turf. The union bosses concern themselves with imagined harm to their dues-paying members while ignoring the very real harm of denying help to students who need a different educational environment. The membership concerns of the teachers' union should not take priority over the sacred right and duty of parents to direct the education of their children. As the author of the Lindsey Nicole Henry Scholarships for Students with Disabilities Program Act, I’m grateful to Supt. Barresi for her steadfast support of this important, student-centered education program. Barresi, along with the State Department of Education and the State Board of Education, are defendants in a new lawsuit filed by educators challenging the constitutionality of the Lindsey Nicole Henry Scholarship Program. I'm working with Barresi and Attorney General Scott Pruitt to defend this law against those who believe that the children exist to support the system and dues paying union members. Call me naïve, but I think education should be focused on students.